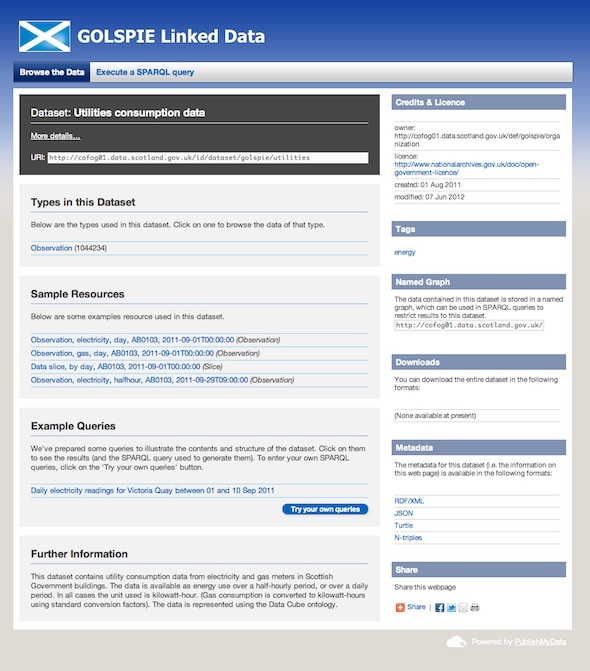 We worked closely with Peter Winstanley, Head of Data Standards at the Scottish Government, to put together a Linked Data site powered by PublishMyData, holding half-hourly electricity and gas consumption data from Scottish Government Buildings, fed from a live web service connected to the meters. All the data is available under the Open Government Licence. Peter also put together a series of interactive charts by querying the SPARQL endpoint. 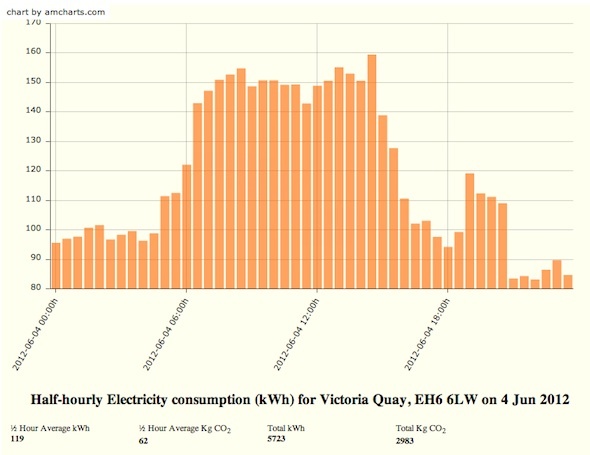 They allow you to visualise the daily and weekly energy consumption data, and to compare the different buildings’ energy usage.